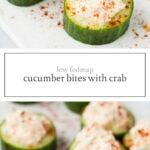 Cool cucumber cups are filled with creamy crab in these scrumptious Low FODMAP Cucumber Bites with Crab. 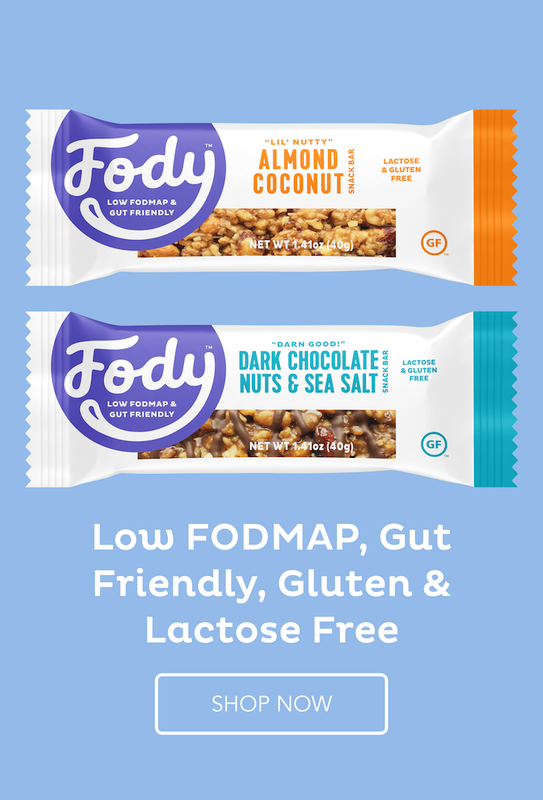 A great gluten-free and dairy-free appetizer. Another appetizer recipe today! 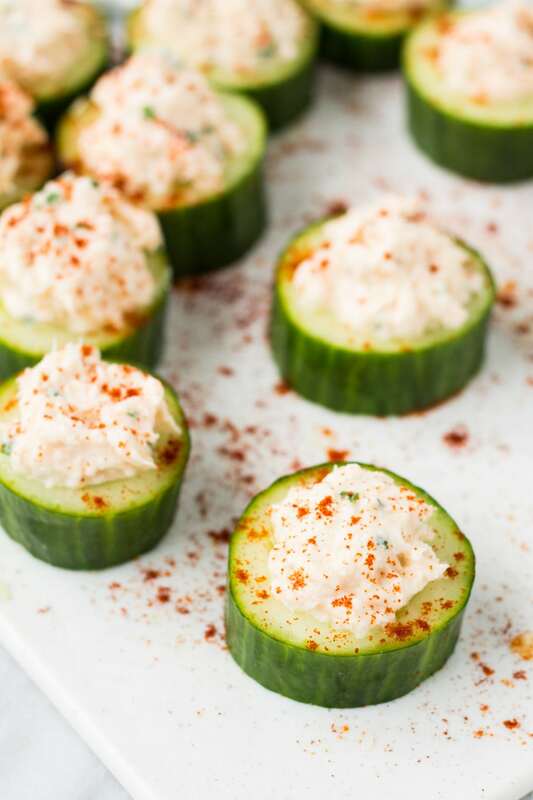 These Low FODMAP Cucumber Bites with Crab are a delicious addition to any party spread. 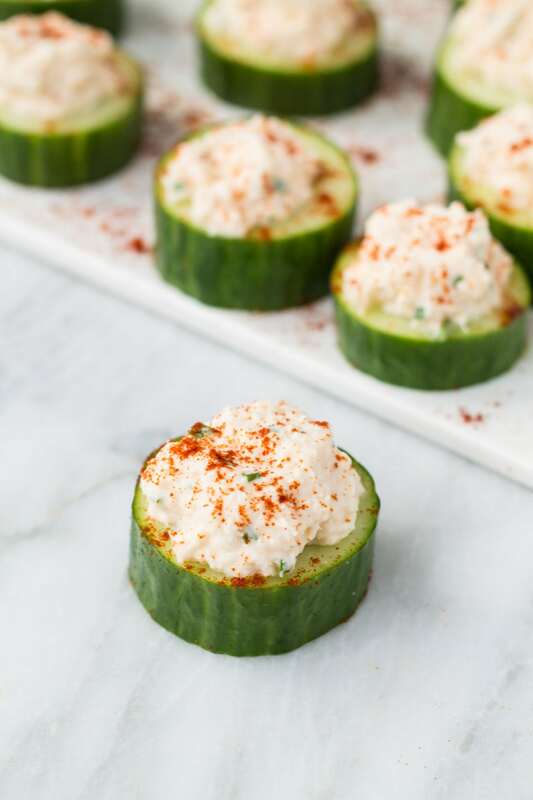 Cool cucumber cups are filled with a light and creamy crab mixture with just a tiny kick of spice thanks to a little hot sauce. Garnish with paprika for an added touch of color. Slice peeled cucumbers into 1 ½-inch thick pieces. Using a spoon or small scoop, carefully scoop out some of the center seeds, leaving base intact, to create cucumber cups. Set aside. In a medium bowl, mix together crab meat, mayonnaise, chives, hot sauce, sugar, and salt. Fill each cucumber cup with crab mixture and refrigerate until ready to serve. Serve chilled with an optional garnish of paprika.